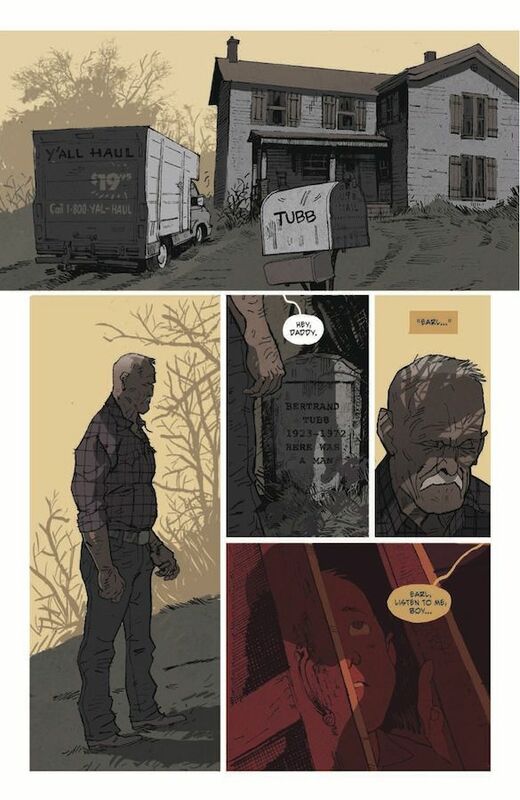 Earl Tubbs left Craw County, Alabama years ago, and with it bad memories and a whole world he didn’t want to come back to. 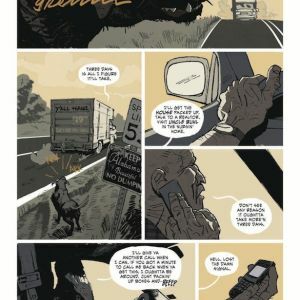 His father was a former sheriff and is still a legendary figure in Craw. 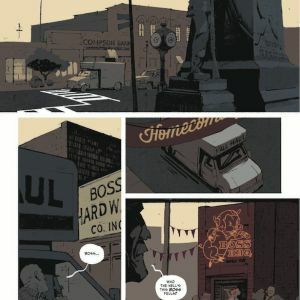 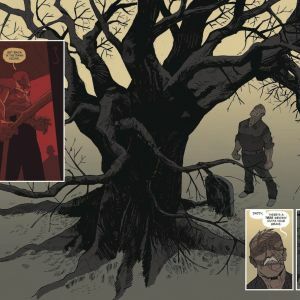 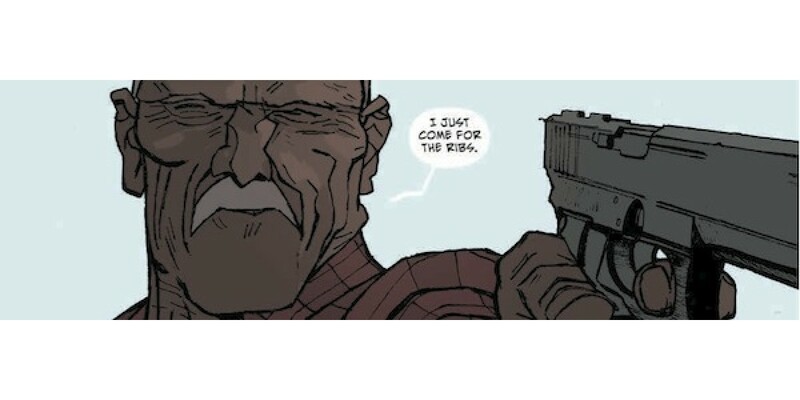 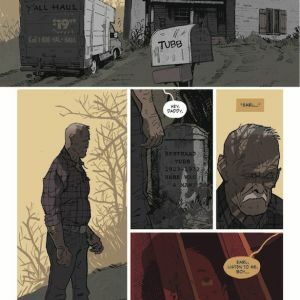 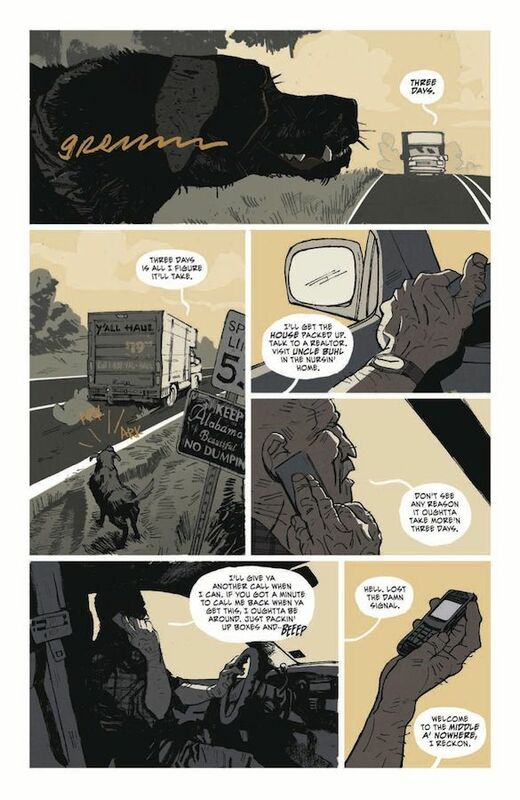 In SOUTHERN BASTARDS, a new Image Comics graphic novel by Jason Aaron and Jason Latour, Earl returns to reckon with his past and — even though he never wanted it — perhaps shape Craw County’s future. 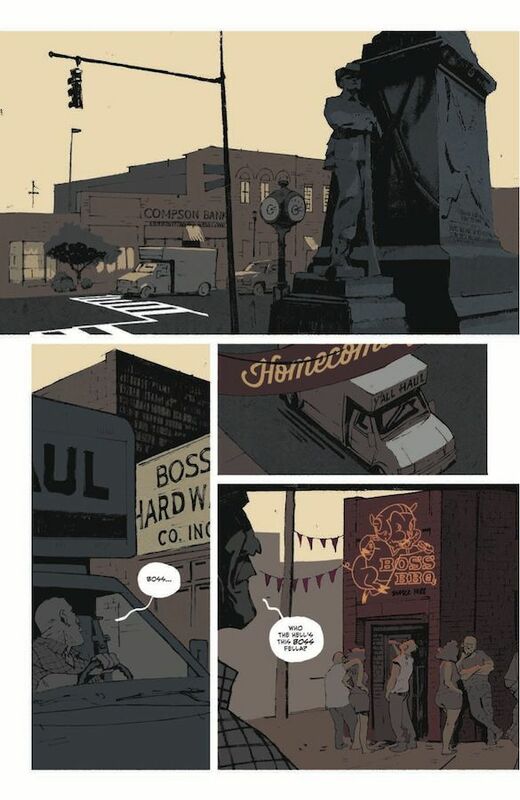 The first volume, HERE WAS A MAN, will be in stores in October. 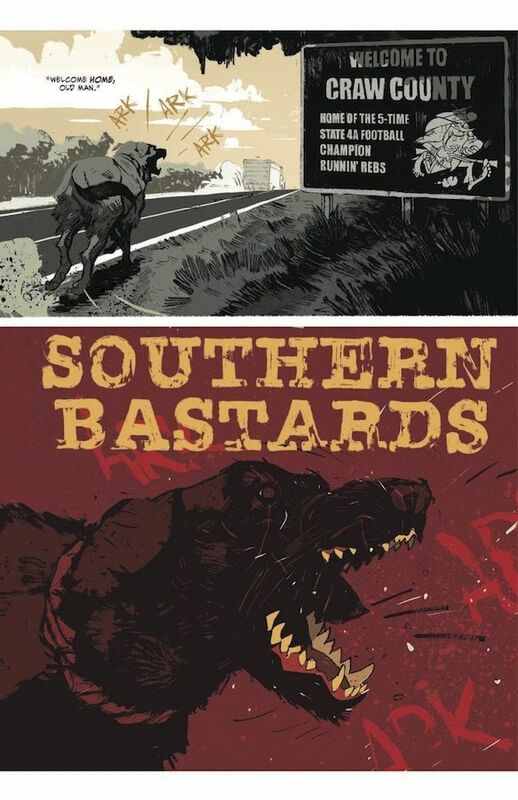 After a run-in with the violent Coach Boss, who runs the county and has the sheriff’s department in his grip, Earl faces a choice: Will he try to be the reluctant savior of Craw County, following in his father’s footsteps, or will he leave again and never look back? 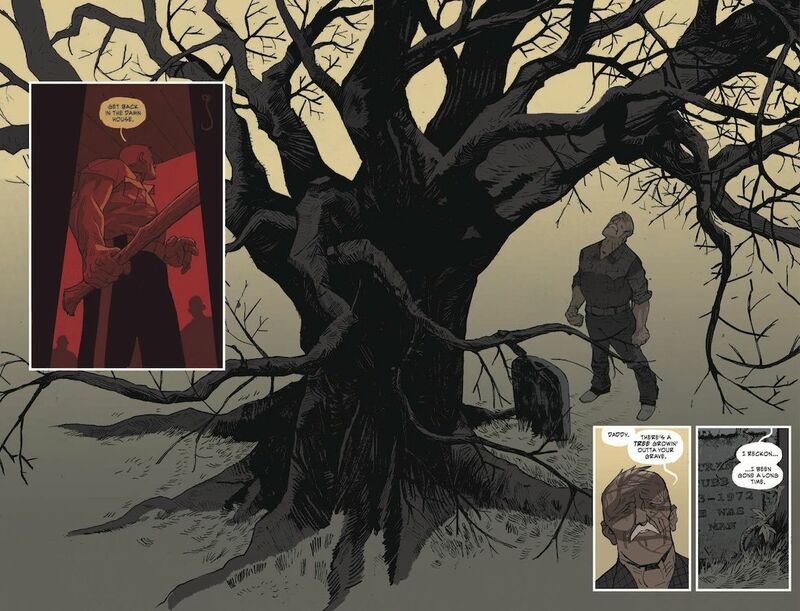 If he’s going to take on the rot at the heart of this small town, Earl is going to need to carry a big stick. 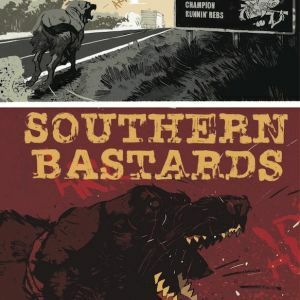 Creators Latour and Aaron have infused SOUTHERN BASTARDS with a sometimes uncomfortable authenticity that can only come from creators with deep ties to the South.